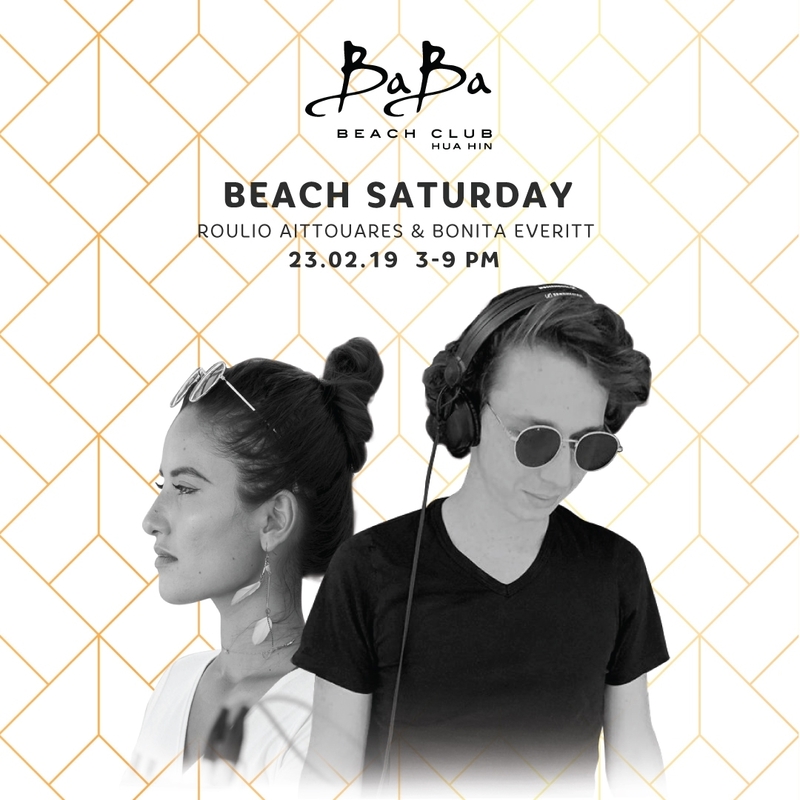 At Baba Beach Club Hua Hin we are finishing off the month with our monthly BEACH SATURDAY, welcoming French Dj Roulio Aittouares for an exclusive sunset session on the 23rd February. Starting in the early afternoon and supported by local talent Dj Bonita Everitt, our Beach Saturdays are all about the music & beach vibes. So make sure to join us for a weekend escape at Baba Beach Club Hua Hin enjoying the very best beats, delicious food, cool cocktails, and much more.